A bunion is a distortion of the foot characterized primarily by lateral deflection of the toe. A club foot or clubfoot, also called congenital talipes equinovarus, is a congenital deformity involving the fixed plantar flexion and the adduction of the forefoot. It is a defect known as a kind of deformation, caused by the bone malformations in about 50% of cases. A fracture is breaking the continuity of bone tissue occurring throughout its cross-section. A slow fracture, also called a march fracture or an overload fracture, is a fracture resulting from the accumulation of micro-damages. A sprain is a joint injury in the course of which joint surfaces of a joint temporarily or permanently lose contact with each other. As a result of this damage, the articular cartilage and periosteal ligaments are significantly enlarged. Alloplasty (allotransplantation) - is an endoprosthetic replacement of the ankle joint by means of implantation. An open fracture is a fracture in which the skin continuity has broken. Ankylosing spondilitis - see: Bechterew's disease. Arthoplasty is a procedure which stretches the joint surfaces apart for a period of time, using the special frame- like device. Arthrodesis, (also known as artificial ankylosis), is the artificial induction of joint ossification between two bones by means of surgery. Arthroscopy - washing out of the joint - involves the removal of free fragments, leveling the surface of cartilage, as well as the removal of the synovial overgrowth. Arthrosis is a chronic degenerative joint disease involving the premature wear of the tissues forming the joints, caused as a result of the biological and mechanical (e.g. injuries) processes. Articular cartilage is a thin layer of the cartilage ( usually from 0.5 to 2 mm), covering the joint surface; due to its smoothness and lubricity it decreases the friction between joint surfaces during movement. With increasing age, the articular cartilage loses its smoothness and the cracks may develop. Articular cavity is a potential space between the articular surface, filled with the synovial fluid. Articular disc is an additional element forming a joint, adjusting the articular surfaces to each other. Articular fossa is a concave articular surface forming the joint. Articular meniscus are the elements occurring, for example, in the knee joint. Their function is to integrate the articular surfaces to make them fit, they also have cushioning functions. Avascular necrosis - (Latin osteochondritis, epiphysis, chondromalacia osteonecrosis) - is a group of diseases whose common feature is the necrosis of bone or its fragments, unrelated to any participation of microbial infection. Bechterew's disease (ankylosing spondylitis). The causing factor of the disease is a genetic mutation. The degeneration caused by this disease primarily affects men between 20 and 30 years of age. Bone malformation is a congenital skeletal defect of the skeletal system. Bouchard’s nodes - it is one of the symptoms of the rizarthorsis, that is, an osteoarthritis occurring in the hand joints; the nodes develop in the proximal interphalangeal joints. Boutonniere deformity of the thumb, also called ‘buttonhole' is one of the typical symptoms of the rheumatoid arthritis. It is characterized by the occurrence of the flexion contracture in the metacarpophalangeal joint and hypertrophy in the interphalangeal joint. Bursa mucosa (synovial bursa) is a diverticulum formed by the synovial fluid which facilitate the functioning of muscles or tendons. Chiragra is a goat of the hand joints. Chondrocalcinosis also known as pseudo-gout, Lat. chondrocalcinosis - is a rheumatic disease, caused by the accumulation of the calcium pyrophosphate dihydrate crystals in articular cartilage and their presence in the synovial fluid. Coxarthrosis is a degenerative disease of the hip joints. Crepitation refers to the crackling which appears in the joints while performing movement. Degeneration of the crurotalar joint (ankle joint) is a disease of both the secondary and the primary background. . In the first case, it results from the injuries, gout, diabetic arthropathy, inflammatory diseases of the system and also tumors. The primary origin of the disease occurs in a form of the degeneration among the elderly people. Degeneration of the scapulohumeral joint is a disease involving the progressive and irreversible damage to the joints surfaces and the surrounding soft tissues covering the humeral head and the glenoid cavity. Degeneration of the shoulder joint, also called Duplay’s disease, is caused by such ailments as the instability of the shoulder joint, frozen shoulder, (medically referred to as adhesive capsulitis) rotator cuff syndrome, calcification of the joint, damage to the SLAP (Superior Labrum Anterior Posterior), instability of the long head of the biceps, as well as the degenerative changes of the acromioclavicular joint . The second group primarily includes injuries, such as a traumatic dislocation of the acromioclavicular joint or a fracture of tuberosity of the great humeral bone. Degeneration of the temporomandibular joint (the jaw joint) is a disease of one of the most complex joints of the human body. There are many classifications of the disease. The subgroups of the temporomandibular joints disorders include two main groups. The first group refers to the diseases of primary origin, while the second group includes the disorders of secondary or acquired origin. Diadynamic currents are the modulated currents of a low frequency. It can be semi-wave and full-wave sinusoidal current, 50-100 Hz frequency, wherein the sinusoidal current is applied to the constant current. The main effects of the diadynamic currents on human body is an analgesic effect , that is, pain relief. Duplay’s disease - see: Degeneration of the shoulder joint. Edema (swelling) is an abnormal accumulation of fluid in the tissues, caused by the systematic disorder of the water and protein balance, or by the local changes distorting the water distribution between tissues and circulatory system. Effusion is a fluid formed and accumulating in the course of the inflammatory process. Electrotherapy is an field of physical therapy which involves treatment based on using diadynamic electrical stimulation (currents developed by Bernard) DD, Träbert impulse currents, high-voltage stimulation electrotherapy, TENS (transcutaneous electrical nerve stimulation) currents, microampere currents (MES - micro amperage electrical stimulation) and a tonolysis. Fibrous tissue is a kind of skeletal connective tissue which contains numerous collage fibers, due to which it is hard and crush-resistant. Golfer’s elbow - see: Inflammation of the medial epicondyle of the humeral bone. GONARTHROSIS is a degenerative disease occurring in the knee joints. Gout - otherwise known as gout arthritis - is a chronic disease associated with a disorder of the metabolism of uric acid coming from purines. Hammer fingers are a deformation of the toes of the feet, characterized by a metatarsophalangeal joint and flexion in the interphalangeal joints. Herbeden’s nodes are the nodes occurring as a result of rizarthrosis, they develop in the distal interphalangeal joints. Hip dysplasia (Lat: dysplasia coxae congenita) is a congenital defect of the hip joint resulting from the hypoplasia of the articular fossa. It is more common in the female newborns. Hyaline cartilage is a kind of skeletal connective tissue which contains little collage fibers; it covers the joint surface. Inflammation of the lateral epicondyle of the humeral bone - see: The Tennis Elbow. Inflammation of the medial epicondyle of the humerus, also called the golfer’s elbow, (Lat: epicondylitis medialis humeri) is the pain syndrome of soft tissues located medially in relation to the elbow joint, most commonly associated with the damage of the round pronator muscle attachments or the radial flexor muscle of the wrist (Flexor carpi ulnaris). Inflammatory geodes (subchondral cysts), detected as a radiolucency in the radiological picture occur in the most loaded parts of the bones. Inflammatory process, also called inflammation is a local response of the body to the inflammatory factor, aiming at removing this factor and its consequences; it is an attempt of the human body to defend itself against the damaging agents. Intervertebral disc, also called a disc is a flat cartilaginous plate located between the corpuses of the adjacent vertebrae in the spine. Joint subluxation is a condition that occurs when the articular surfaces become partly dislocated. 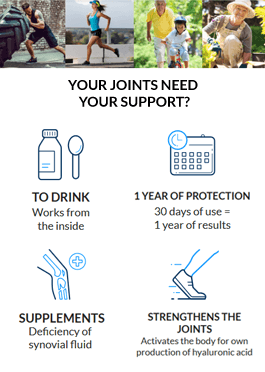 Joints are the synovial connections between the bone elements, they are the most mobile as well as the most complex connections of bones occurring in the human body. Juvenile idiopathic arthritis, also called juvenile rheumatoid arthritis (JRA), juvenile chronic arthritis or Still’s disease - is a subset of arthritis seen in childhood, occurring with no defined cause. Kyphosis (or Kelso's hunchback) is a physiological over - curvature of the spine to the back; occurs in the thoracic and sacral section of the spine. Laser therapy is a treatment in the field of physical therapy which uses the effects of visual light and the infrared stimulation. Ligaments are the strong connective tissue bands which reinforce the articular capsule and affect the range of motion in a particular joint. Lordosis is a physiological forward curvature of the spine, it occurs in the cervical and lumbar segment of the vertebral column. Magnetic field is a physical factor which is used during the magnotherapy treatment; it is used to treat degenerative and inflammatory changes of the peripheral joints and the spine. Magnotherapy (Magnetic therapy) is a medical treatment in the field of physical therapy where the low-frequency varying magnetic field is applied to the human body. This therapy is used to treat degenerative and inflammatory changes of the peripheral joints and the spine. Morning stiffness, a symptom occurring in the course of rheumatoid and degenerative diseases. It involves the occurrence of stiffness and difficulty in performing any movement, often accompanied by the pain after a long rest, mainly in the morning. It develops as a result of the accumulation of the inflammatory fluid in the joint overnight and the formation of edema. Mouse articular cartilage (chips or loose bodies) are the parts of the separated articular cartilage, capable of living and freely floating in the articular cavity. Necrosis - the necrosis of bone tissue - see: Avascular necrosis. Nerve root is a bundle of nerve fibers extending from the spinal cord. Omagra is a gout in the shoulder joint. Osteoarthritis is a general term referring to the degenerative changes connected with premature wear and degeneration of the tissues which build the joint. Osteomalacia, in other words, the softening of the bones or the adult rickets, is caused by defective bone mineralization. It is a bone condition involving the loss or inadequate amounts of available phosphorus and calcium. Osteophytes are the bone spurs which develop during the reconstruction of the bones in the course of the degenerative alterations. Osteophytosis is a degenerative disease caused by both biological and mechanical incidences which destabilize the interrelated processes of degradation and synthesis of the cartilage - the chondrocytes and extracellular matrix and also the subchondral bone layer. Osteosynthesis is a type of anastomosis of broken bone fragments with bolts, screws, etc. Osteotomy is a bone-cutting procedure that is performed to lengthen or shorten the limb, or to improve the alignment of the bone elements that are incorrectly healed after the fracture. Paget’s disease is a progressive process of deforming bone inflammation occurring in one or more foci. The reason remains unknown. It is characterized by the increased and disorganized bone remodeling, followed by the greater risk of the development of distortion, chronic pain, fractures and complications within the nervous system and connective tissue. Pain is un unpleasant feeling connected with the damage of tissues; it is a subjective sensation. Palpation tenderness is a sensation of pain in a particular location during touching ( refers mainly to the palpation - a physical examination in which an object is touched). Periarticular osteotomy is an alignment of disorders of the axial bone settings in order to improve the way the burdening of the joint. Physiotherapy is a part of physiotherapy which uses the physical stimuli, such as heat, cold, light, magnetic field, electric current and radiation. Podagra is the gout of the metatarsophalangeal joints of the hallux (the great toe). Pressure pain - the feeling of pain in a particular point when pressure is applied. Rachidagra is a gout of the spine joints. Redression is a procedure based on correction of the arrangement of articulation elements aimed to remove contracture and restore the mobility of the joint. Rheumatoid arthritis (RA), also known under the name of chronic evolutive polyarthritis (CEP) (Lat. reumatoidea polyarthritis, rheumatoid arthritis called RA in short) - a rheumatic disease of inflammatory and autoimmune nature. Rheumatoid nodules are the subcutaneous lumps occurring over bony prominences at the extensor side of the upper limb or the joints area, sometimes also along the Achilles tendon. They develop in the course of the rheumatoid arthritis. Rizartrosis is a degenerative disorder developing in the finger joints. Scheuermann's disease is a form of juvenile kyphosis, belonging to the group of avascular bone necrosis diseases. It involves cellular death (necrosis) of the bone and cartilage tissues without the participation of pathogenic microorganism, and occurs due to interruption of the blood supply. Sclerotization is a process of excessive density of the bone structure, occurring mainly in the most loaded part of the joint (in particular , in epiphyses). Spinal canal is the skeletal canal enclosed within the vertebral foramen, through which the spinal cord passes. Spondylosis refers to the degenerative disease affecting the intervertebral disc. Swan neck deformity is one of the typical symptoms of rheumatoid arthritis, characterized by the flexion in the joints from II to V of the metacarpophalangeal joints and distal interphalangeal joints, as well as the hyperextension of the proximal interphalangeal joints. Syndesmophytes are the bony growths commonly seen in the course of ankylosing spondylitis; they usually grow vertically, combining the adjacent vertebrae with each other. Synovial fluid is a liquid within the articular capsule, which is used to moisten the cartilage tissue. Synovial fluid, also known as a joint fluid, is a substance found in the articular cavity. The essential role of the synovial fluid is to lubricate the cartilage and reduce friction between the articular surfaced during movement, as well as to nourish the articular cartilage. Synovial membrane is a soft tissue which lines the inside of the joint capsule. Tendons are the final parts of the muscle, formed by fibrous connective tissue; they constitute the attachment of muscles to the bones. Tennis elbow - The inflammation of the lateral epicondyle of the humeral bone is a pain syndrome of the soft tissues located laterally to the elbow joint, resulting mostly from the damaged attachment of the extensor muscle of fingers . (Musculus extensor digitorum). The articular head is a convex articular surface forming the joint. The glenoid labrum cartilage is an additional element of the glenohumeral joint (the shoulder joint) and the hip joint, which widens and deepens the articular cavity. Träbert currents is a current used in medicine, characterized by an average frequency of 142 Hz and the rectangular pulses, the time of which equals 2 ms, while the interval between pulses is 5 ms. It is used in the treatment of joints and spine pain caused by degenerative changes. Ulnar deviation (ulnar drift) is a hand deformity characterized by the displacement of the fingers toward the ulna; it may occur at the advanced stages of rheumatoid arthritis. Ultrasound is one of the treatments in the field of physiotherapy, performed by means of a special ultrasonic transducer probe and a coupling medium, its effect on tissue are primarily mechanical effects called micro-massage. This kind of treatment is recommended in case of degenerative and inflammatory changes of peripheral joints and spine. Womac is a widely used index developed by the Western Ontario and McMaster Universities w USA in order to evaluate the condition of the bones and joints. It is commonly used in the diagnosis of the degenerative diseases of knee and hip joints. It measures three dimensions of pain, disability and joint stiffness. The latest version of the document (WOMAC ® 3.1) is available in over 90 alternative language mutations. X-ray picture is the result of a diagnostic test in which the image is formed by the penetration of X-ray radiation through the human body.